[London, 21 September 2018] Managed Services providers have to take some tough decisions in order to avoid being pulled in all directions. Because of the similarity of many offerings, and the challenge of public cloud mass-market providers, they may feel tempted to try to supply all types of customer with every form of solution and find themselves trapped in a competitive race to the bottom. At the same time, their over-stretched resources will not be able to maintain standards. This is the challenge for managed services in 2018. The need for focus and concentration of expertise was shown by a lively presentation from two experts from the rising digital marketing side of managed services. One way to win more customers is by showing them their place in the future, according to Jim Bowes, CEO and founder of digital agency Manifesto, and Robert Belgrave, chief executive of digital agency hosting specialist Wirehive. They showed how they use the power of engagement and marketing ideas to build a commanding position in their chosen sector. Which means it’s time to ditch the old marketing models built on email lists and dry whitepapers. It’s time to get agile, personalised highly effective customer communications. A particularly informative part of the morning sessions came from hearing the experiences of MSPs themselves and looking at established winning ideas; for example, Tim Walker of year-old MSP Aura Technology revealed how an understanding of market and a tight focus on customer requirements led his management team to form their business. Other MSPs told their stories on how they use managed security services, how to position data security and backup, and how they work with customers to keep their lights on. The lunchtime focus sessions and afternoon breakouts dealt with more specialist technical and sales approach-based subjects, with GDPR a topic which continues to challenge customers and the evolving cybersecurity proving one with which all MSPs must be familiar. In parallel with solving their customer’s problems MSPs must also continue to strive to improve efficiency through the use of tools and simpler and more effective management systems of all types. Winding up a very busy day, technology M&A experts Hampleton Partners showed why activity is at record highs, with director Jonathan Simnett highlighting areas of the market such as e-commerce and automotive technologies in which the highest multiples were available. But he also showed the need for expertise and understanding, since some attractive areas such as healthcare technology were also characterised by long sales cycles and compliance issues. 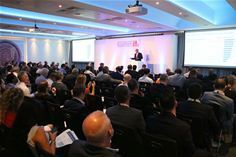 John Garratt, editor of IT Europa and event content director advised that in difficult times, particularly in the UK, which is suffering the impact from general economy and trade pressures along with Brexit confidence issues, the watchword has to be building efficiency and learning the lessons from others. Which is what the series of Managed Services and Hosting events is all about. As a demonstration of winning ideas, the first ever Managed Services Awards, directly after the event, named eight examples of projects and suppliers with outstanding examples and effective results. Sponsors of this year’s Managed Services & Hosting Summit 2018 included: Avast Business, Cogeco Peer 1, Datto, Fujitsu, Highlight, IBM, Kaspersky Lab, WatchGuard, Altaro, ConnectWise, Identity Maestro Mimecast, Park Place Technologies, RapidFire Tools, Redstor, Trend Micro, Auvik, Barracuda MSP, CA Technologies, China Telecom, Continuum, Entrust Datacard, IT Glue, Kaseya, Keepabl, Pointsharp, SolarWinds MSP, Volta Data Centres and Webroot. The next in the Managed Services & Hosting Summit series of events will be the European Managed Services & Hosting Summit 2019 in Amsterdam next May.